Wild Harvested. Hand Crafted. Concert Quality. Christopher’s passion for the healing tones of the Didgeridoo/Mayan Trumpet has inspired him to craft his own and share them worldwide with the intention of connecting people with the Sacredness of their own breath and heart. His materials vary from reclaimed hardwoods to yucca/agave and are infused with crystals and metals to enhance the healing benefits of these Sacred instruments. Rising Coatl Wood Type: Yucca sustainably harvested from Ojai, Valley of the Moon Mouthpiece: Maple, Purple Heart and Baringa Drone note: 432Hz F Trumpets: E A D# F Mouthpiece inner diameter: 1 1/8" Length: 55 1/2" Bell Width: 5 1/8"
Tikal Wood Type: Yucca sustainably harvested from Ojai, Valley of the Moon Mouthpiece: Paduk, Sycamore, Bass Drone note: 432Hz A# Trumpets: D# A# E Mouthpiece inner diameter: 1 1/4" Length: 64 5/7" Bell Width: 6 5/8"
I harvest fell hardwoods along the west coast of the U.S. When I harvest Hardwoods, its always a special time and experience for me. It not only gives me the opportunity to be in nature where my heart is at home, but fosters a beautiful connection with the tree spirit I will work with throughout the whole crafting process. I intuitively and skillfully shape these trees and then hollow them using the split technique with chainsaw grinding discs, gouge chisels, rasps and drill bits to bring the Didgeridoo to life! I also harvest Agave and Yucca along the west coast of the U.S. that have lived their life fully rooted in nature and are calling out for their next expression. In exchange for these abundant gifts shared by nature I reciprocate by spreading any seeds left in the pods to help with the regeneration of the plant. I mindfully hollow out the Agave/Yucca by the splitting technique. I use some home made tools, chisels, rasps, drill bits and sometimes fire. 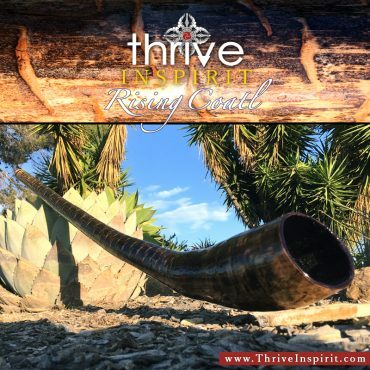 If you have any questions regarding finding the perfect Didgeridoo or Mayan Trumpet currently listed, or co-creating a custom piece for yourself, please contact me. I am stoked to assist you!